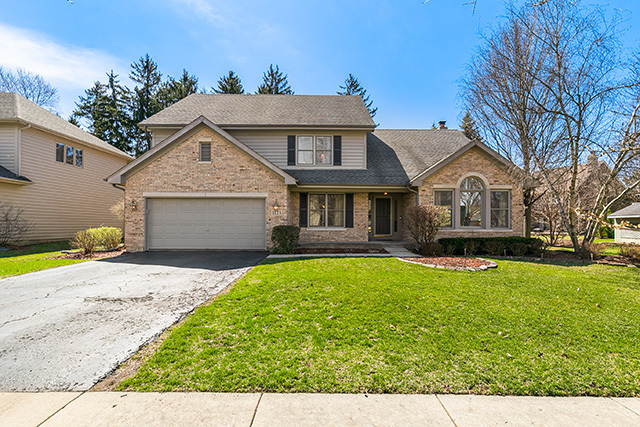 1123 Struckman Boulevard, Bartlett, IL.| MLS# 10336415 | Parade of Homes Bartlett IL, Homes for Sale in Bartlett and the greater Schaumburg area. Listing commissions as low as 1%. Charter Oaks of Bartlett home is ready for a new owner! This home boasts tremendous character throughout! Beautiful vaulted ceilings in the formal living. Gleaming hardwoods stretching from the foyer to the kitchen. The family room features a gorgeous brick FP extending to the vaulted ceiling, awesome decorative beams running across the ceiling, & an abundance of windows! The kitchen features 36" hickory cabinets, newer appliances and recessed lighting. All four bedrooms are very spacious! The master suite features tray ceilings & HUGE ensuite bath with separate tub & shower. Enjoy a cookout with friends in the backyard which features a large, brick-paver patio and plenty of space for outdoor games. Newer roof and A/C! Easy access to Rt 59 & Pratts Wayne Forest Preserve! MUST SEE!